The Edmonton Oilers broke a six-game losing skid against the Nashville Predators on Sunday night. They followed this up with a win in Vancouver on Monday, the first time this season they have won both games when playing on back-to-back nights. Finally, they held on through the superhuman strength of Ben Scrivens and his heroic 59-save performance to defeat the San Jose Sharks 3-0 on Wednesday, extending their win streak to three straight. The Oilers now depart on a four-game road trip, starting in Boston on Saturday afternoon. Highlighting this three-game streak is the fact that three players, Taylor Hall, David Perron, and Ben Scrivens, all exceeded personal bests in the past three games. Perron came to the Oilers from the St Louis Blues last summer in a trade for Magnus Paajarvi. 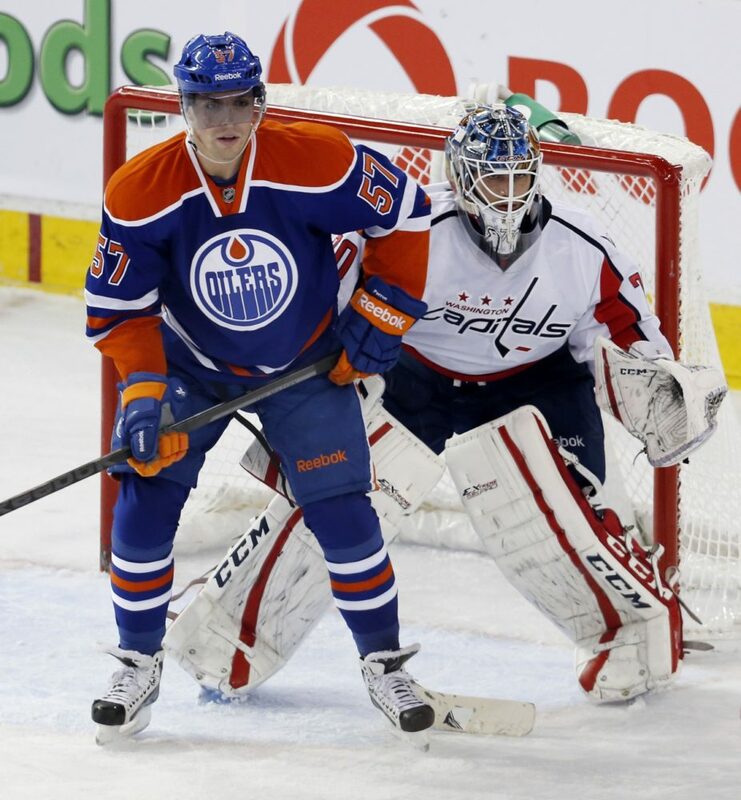 Perron is having a career year in Edmonton and currently leads the Oilers in goals. The 22 goals he has scored this season exceed his previous personal best of 21, set in the 2011-2012 season when he still played for the Blues. Perron scored his second career hat trick on Monday night against Vancouver, lifting his team to a 4-2 win over the Canucks. This goal, the second of the game for Perron, tied his personal best of 21 goals in a season. He would later score the third goal of his hat trick into the empty net, propelling himself to 22 goals this year so far. Hall set a personal best in points at 54 (so far) this year after scoring a goal and adding two assists on Wednesday night. He has also set a personal best in assists at 35 so far this year. This puts him in eleventh in NHL scoring at this point in the season. Hall is on pace, with 54 points in 49 games, to finish the season at a point-per-game rate. He is just eight goals short of tying his best goal output of 27 goals, which he accomplished in the 2011-2012 season. On top of reaching a new personal best in points, Hall is also riding a six-game point streak. This is also the longest streak in his young career. Not much more can be said about Ben Scrivens, who almost singlehandedly willed the Oilers to victory over the Sharks on Wednesday. Before the end of the second period, Scrivens had already surpassed his previous personal best of 40 saves. Forty minutes into the game against the San Jose Sharks, Scrivens had already recorded 42 saves to keep his team in a 1-0 game. Scrivens went on to make 59 saves for the shut-out, setting a new franchise record for saves made by an Edmonton goaltender. The team also tied their previous record for most shots given up in a game at 59. Scrivens also set a new NHL record for most saves made for a shut out over 60 minutes, surpassing Mike Smith’s previous mark of 54. 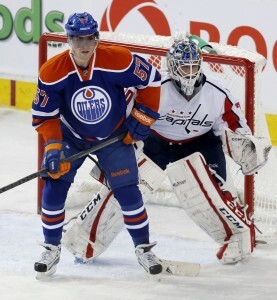 Scrivens’ heroics helped ignite an Edmonton crowd that has seen their share of tough games this season. Fans waited to chant his name as he returned to the ice for his first star honours, along with offering him standing ovations after most of his unbelievable saves. The Oilers will now look to ride this success into their short road trip before the NHL breaks for Sochi.